We have set a benchmark in providing Data Management Services to the customers. These services are completed in stipulated time period in order to accomplish maximum gratification of our esteemed customers. This service is also delivered in customized facility according to the specific demands and desires of clients. Our company is highly rated in providing WDMS Web Data Management System Application Service. Professionals work in close coordination and provide Integrated Data Management to all precious consumers. Best technique is followed by experts for presenting this web development service in simplest way. We are able to offer web development of different platforms. HSE, Information Technology, Documentation Management Services, Food Safety, Supply Chain Management etc. Document preparation to comply legal compliance, Policies Requirement, Business Excellence requirement. Protection of our clients' proprietary information is of utmost concern. GWR offers Guaranteed On-Site Hard Drive Data Destruction. At GWR, we can physically destroy your hard drives, rendering the read write heads unreadable. Decide on architecture Type : Centralized / Decentralized / Hybrid, we will set it up for your Multi Location Organization. Sync Data periodically or directly enter data into Central Tally Server. AnaZeal's biostatics and data management department provides impeccable , all-inclusive service to support your project needs , from initial planning stages through to final database, statical analysis and reporting . Technology today is enabling companies to harbour humongous amounts of data. The vast data have emergent properties that make it incredibly hard to find the connections to reveal insights hidden therein. - CRF Annotations and Data Handling Manual. - Customized Database design & development. - Data Entry with high data accuracy by independent double data entry. - Query Management Through Computer-generated Tracked Data Clarification Forms(DCF). SPECTRON is a distributor, trader and supplier of XRF spectrometers and analyzers in Navi Mumbai, Maharashtra, India. 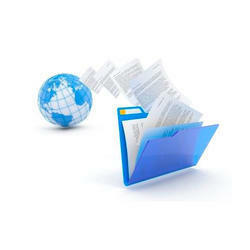 - Storage of records as per the legal age of the document’s generated or received at the warehouse. 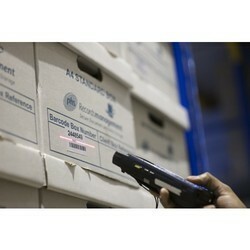 - Records retrieval, as & when required by the customers & audit support inside the warehouse. - World class safety procedures followed during storage. - Retrieval of original document on demand. We provide secure offsite file storage service Bhiwandi area.